I still didn't tell you that my wine-web-shop bolomey.nl was chosen 4th best from more than 250 Dutch wine-web-shops. Of course I had preferred to be the number 1, but when I take into account that my company is small and young, and that the numbers 1-3 are big, I am satisfied after all. The only problem is that hardly anyone notices a number 4... but enough about this. In the end it is not the shop that counts, but the wines in the shop. 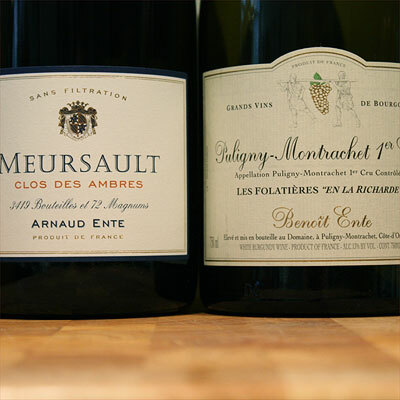 Meursault "Clos des Ambres" 2006 from Arnaud Ente [ buy ] and Puligny-Montrachet 1er cru Les Folatières "En La Richarde" 2006 from Benoit Ente. One of these wines is the Meursault "Clos des Ambres" 2006 from Arnaud Ente which was my contribution to an interesting Burgundy tasting with Jan van Roekel (burgoholic.com), Karel de Graaf (Burgundy agent & Meursault winemaker), Frank Jacobs (wine journalist) and Job Verhaar (wine seller & Burgundy lover). We compared this Meursault with a 2006 from his brother Benoit Ente: the Puligny-Montrachet 1er cru Les Folatières "En La Richarde" 2006. They both persuade, but in a different way. The Meursault comes across younger, with more intensity and energy. It has an imposing corpus with singing acidity, at first on the background, lingering, and then kicking in, structuring a convincing finish. A rich wine with a full and soft-smooth texture. The Puligny is soft par excellence. It is round in the nose, and has a velvety mouth-feel. It seems a little more mature, the oak has blended in perfectly and the wine is balanced and ripe. Then the reds. 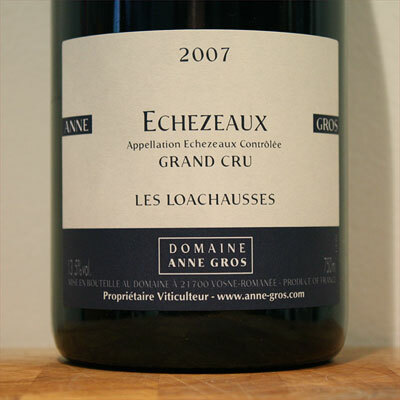 My favourite: the Echezeaux "Les Loachausses" 2007 from Anne Gros. This wine is just de-li-cious. Very pure, very forward, very healthy pinot fruit. Very elegant, outspoken and intense. What should I say more? Perhaps that I am glad that there are a few sleeping in my cellar. 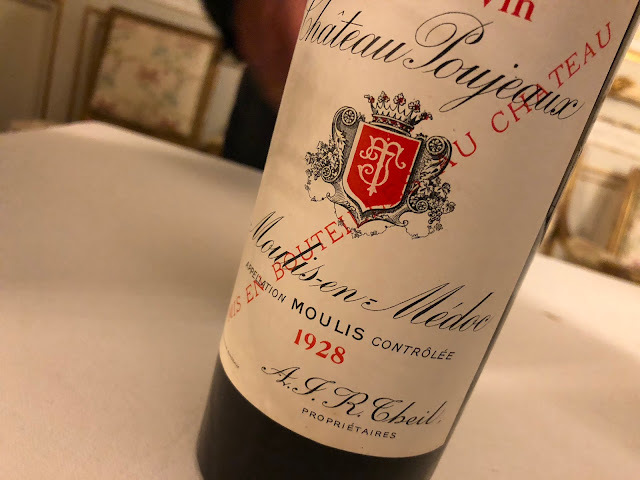 The wine that follows belongs to different school, but is also from a different time: stil clearly pinot, but this time ripe, rich and mature. And the style is full, round, I'd almost say this wine is 'spherical'. What I am trying to describe: the Corton-Bressandes 1998 from Vincent Girardin. The next wine was an interesting one as well: the Chambertin 1981 from Louis Trapet. It was not a grand year, 1981, but this Chambertin was still alive. Light and old, matured and modest pinot noir. An elegant old man in a red-brown suit. The pirate of the evening: the rightfully famous Saumur-Champigny Clos Rougeard 2005 "Les Poyeux". This cabernet franc is difficult to describe, because it is difficult to describe a wine that nears perfection. Also, it was late. My suggestion: taste this very complete wine and you will not be disappointed. Tonight we will conclude the week (or start the new one?) with... a Burgundy tasting. But this tasting will be work.